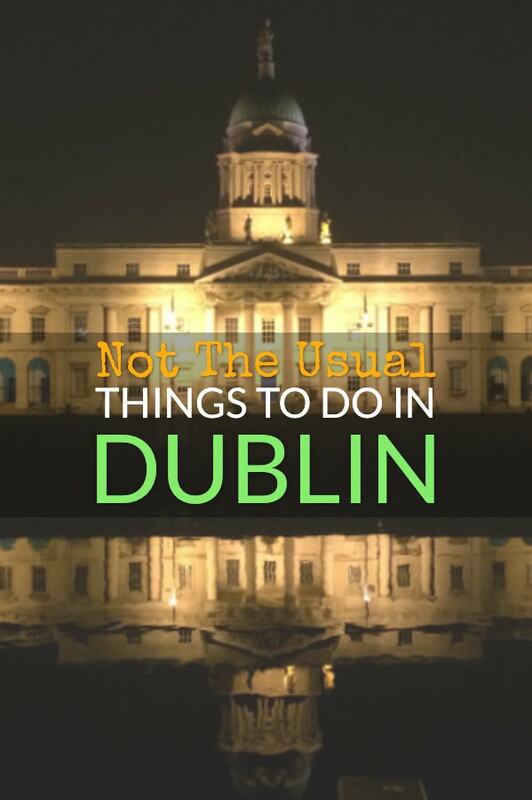 There are a billion blog posts out there telling you where to go and what to do in Dublin. That’s not to say there’s anything wrong with them. They tell most people what they need to know. But I don’t want to rehash the same old information. This is a guide to the “new” best things to do in Dublin, a list which might also include wacky or weird stuff. I’ll start with a disclaimer: I’m not exactly a local. I am from Dublin and spent the first couple of decades of my life in the city, but I spend most of my time outside of Dublin these days. However, my frequent returns for months at a time give me unique insights into new and exciting things to do in the city. 2 #1. The Library at Trinity College. 13 #12. Visit The Phoenix Park. 20 #19. Ignore my Advice – Do The Most Touristic Attraction in Europe. Dublin is small. To see most of the sites in the city you won’t need a car. It’s more of a hindrance than a help to get around with your own transport so I suggest using the buses, trams (LUAS), and taxis. Taxis are not cheap but use them sparingly and you’ll be fine. Dublin is the 5th most congested city in Europe. On the other hand, it’s a great city for walking. The weather might play a part in this though. Dublin is famous for its rain. Ireland, in general, is rainy. This is thanks to Ireland's location as the first island at the north of Europe to receive Atlantic storms and rain clouds. Expect to get wet. Bring a raincoat, an umbrella, and good shoes. Then you’ll be fine. The rain never dampened Dubliners’ spirits so don’t let it spoil your day. Dublin is expensive. Bring money. Lots of it. Then you'll be fine. 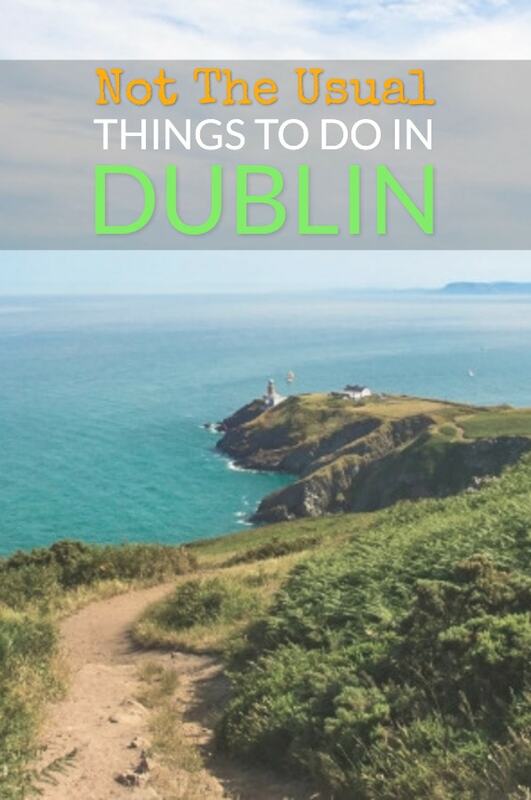 Check out the Dublin Cheapo Guide to Saving Money while still having a Great time “Dublin on the cheap” guide if you find the high prices intolerable. The ultimate guide to places to go in Dublin that won’t rip you off, are more than just Instagram-worthy locations, and are not cringe-worthy tourist traps. #1. The Library at Trinity College. At this point, you complain that I talked about “different” things to do but I immediately talk about one of the most touristic locations in the country. That’s because it’s unmissable. If this post was the only thing you read about Dublin (unlikely, I know), and I left out Trinity College, you’d be missing one the city’s treasures. Trinity's library should be one of the first things you do as it’s conveniently located right in the centre of town. 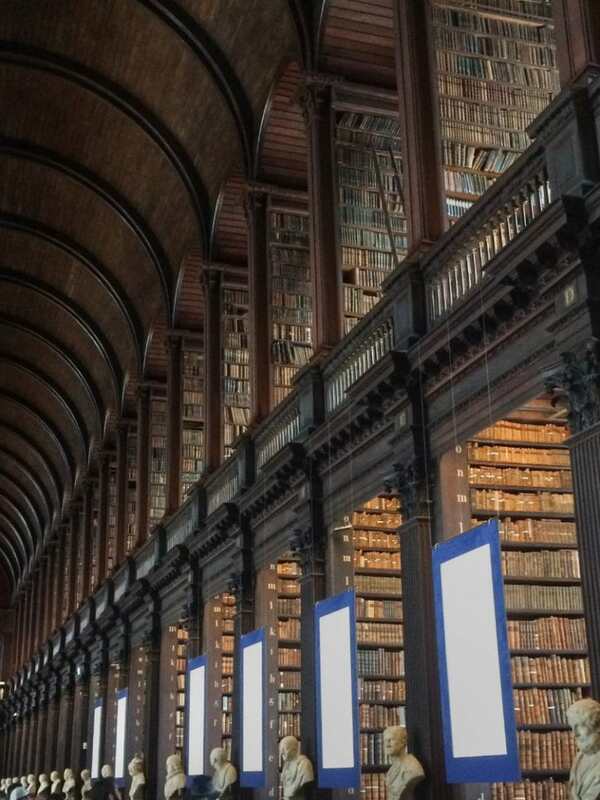 Trinity College is one of the oldest universities in the world and it houses the most beautiful library anywhere. Harry Potter fans might feel like they’ve landed in Hogworths (apparently – I’ve never seen the moveis). The place is gorgeous. It has a historic “feel”, and smells of old books and wood. All part of the ambience. You’ll be sharing the space with hordes of tourists. But most of the interesting views are above their heads. No need to wait for a gang of Asian snappers armed with selfie sticks to move out of the way to photograph the beautiful arches (unless you want a wooden floor to ceiling photo. Then you’ll need to get creative with Photoshop. Despite the crowds, it’s a quiet and dare I say it, serene spot to spend some time. The Trinity Library also contains a book. Not just any book though. This is the Book of Kells. Created over 1200 years ago by skilled calligrapher monks, the manuscript contains the New Testament and some other texts. The book is stunningly beautiful given its age. The library shows only two (facing) pages at any one time. Come back every day for months if you want to see the whole thing. Or you can see it all on the Trinity College Dublin digital archive. The Book of Kells was painstakingly penned in the Abbey of Kells, located just north of Dublin County. Take a walking tour to visit the statues of famous Irish people. By my count, there are around 30 full-sized (or lifelike) statues of famous Dubliners (and Irish people) immortalised in statues dotted around the city centre. To get to them all would require more than a day, unless you’re some kind of running machine, you have a motorbike, or you don’t sleep. The most interesting (and this is just my opinion) are the following, which you should add to Google Maps and get a selfie with each one. James Connolly – Irish republican and the man they named Dublin’s Connolly station after. Mr. Screen (Fictional) – O’ Connell Street. A cinema usher. Luke Kelly – Sheriff Street. Located on one of old Dublin’s least desirable streets, the status commemorates one of Ireland’s best-loved folk musicians. Brendan Behan – Royal Canal off Dorset St. Behan was one of Ireland’s greatest writers of plays, stories, and poems. Wolfe Tone – St Stephen’s Green. The Irish revolutionary, father of Irish republicanism, and owner of a great name, later hijacked by the band the Wolfe Tones. Oscar Wilde – Merrion Square Park. One of my favourites, this statue of the one and only Wilde, shows him reclining near where the famous author and poet grew up. Admiral William Brown – Sir John Rogerson’s Quay. Did you know that the founder of the Argentine navy was born in County Mayo? Patrick Kavanagh – Wilton Terrace, Grand Canal Dock, Dublin. Dubbed “The crank by the Bank”, the statue of Kavanagh on the bench is the scene for many selfies with the man himself. 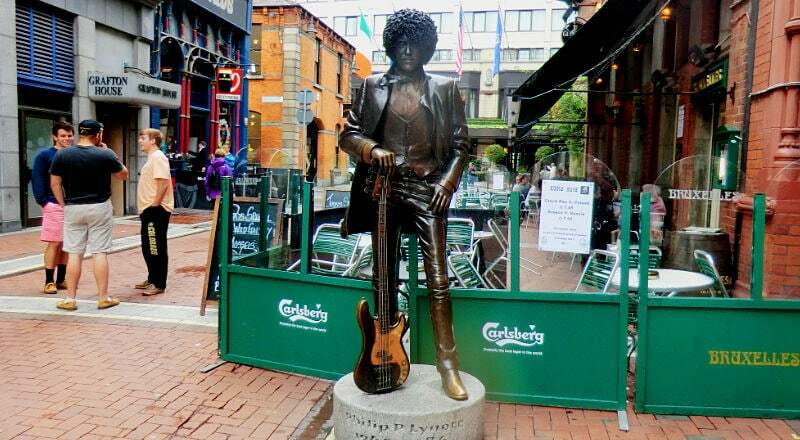 Phil Lynott – Harry Street. The coolest musician in Ireland, Lynnott was the frontman for the band Thin Lizzy. He lived a wild and excessive short life but he’ll never be forgotten. Do you go to raves? Me neither. But here’s something I can get behind. Now that Morning Gloryville (a 6-am rave and healthy breakfast mashup) no longer plans any events, SodaBox is the next best thing. It's is an alcohol-free, hour of dancing in the dark (Bruce Springsteen is not involved). The usual venue closed down at the end of 2018 and, as I write this, the organisers are still looking for a new place. If you’re in Dublin and looking for something weird but fun to do, check the Facebook page for updates. You might be lucky. A healthy, alcohol-free, morning rave up to start your day. Like many European discos and South American clubs, this place gets going at 6am. The difference is that it opens at that time and explodes into life (the dream of many night-club owners). But there’s also a focus on healthy entertainment and wellness. It’s not about the drugs (although I can’t confirm or deny the presence of illicit substances). It’s about the movement, the yoga, and the pre-work health food breakfast. A fantastic idea I hope never dies and heads back to Dublin soon. Capel St is one of the least “Irish” streets in the city but it used to be a traditional inner-city Dublin street. That’s before the bland Irish food joints were outnumbered by Asian and Middle Eastern restaurants. Capel Street is one of the best streets in the country for cheap, tasty food. There are also a couple of Dublin’s best coffee shops and bakeries here. And if you’re looking for Dublin’s top gay bar, it’s right here. Dublin is a city of pubs. Despite the decline in drinking as a “pastime” in recent years – these pesky millennials are all into wellness – the bar scene in Dublin has taken only a minor beating. Visitors to Dublin expect to go to a bar and enjoy the local friendliness. Just don’t expect it to be cheap. John Kavanagh. It’s a bit out of the way, but it’s a good spot to combine with a visit to Kavanagh’s near Glasnevin’s Botanical Gardens (a great spot to hang out – add that to your list). Anthony Bourdain visited on one of his trips to Ireland. That pretty much ruined it (I’m kidding). The bar maintains the old school feel. There’s no music, no tv or radio. Fancy cocktails are available but not encouraged. On the other hand, if you want to grab a nice creamy pint of Guinness and stare at it for a half hour while you switch off your social media alerts, this is the place to do it. It’s like an alcoholic wellness retreat and won’t cost you a week’s wages. Kavanagh’s pub is nick-named the Gravediggers. Mulligans. Glad to see that they haven’t upgraded the place to suit the hipsters. Or maybe that’s precisely why they haven’t changed anything. Who knows? One thing’s for certain, Mulligans is old-school cool. Get in there around lunchtime and have the place to yourself. 💡 Doing Dublin on the cheap? If you’re looking for money-saving tips and great value (mostly free) ways to spend your time in Ireland’s capital city, check out Dublin Cheapo. This 5000-word ebook is all facts, no fluff. Save a fortune on your trip to Dublin by following these easy to implement tips and advice on what to eat, where to go, and what to do. Chestier Beaty sounds like he could play in the US Open Golf tournament. But he wasn’t a golfer, as far as we know. Beaty was a philanthropist, traveller, collector, and founder of one of the most interesting libraries in Ireland. Before you shake your head and say “it’s another library”, listen up! This one is special. Once called Europe’s best library by Lonely Planet, the Chester Beatty is the collection of art and historical items by the eponymous private collector. But it’s less a museum and more of a collection of the man’s travels. It’s a library of what the man was interested in. Donated to the state of Ireland to preserve for the public, the compact museum of art is a fascinating look at the cultures of the Middle East, Asia, and parts of Europe. And it’s free. So no excuses. Set aside time for a tasty lunch in the bright and airy Silk Road café downstairs. Afterwards, take a stroll in the manicured gardens in front and walk back to the city centre through Dublin Castle. Speaking of libraries, the Marsh’s Library is the oldest in the country (dating from 1707) and it still has its original seating and shelving. So there’s a bit of history there. 312 years, by my count. Founded by the wonderfully named Narcissus Marsh, the library gets a fair number of visitors every year but you don’t often see it in the tourist guides. If you want something different for your Instagram collection or just somewhere interesting off the beaten track, check out Marsh’s. Here’s one way to liven up your travel tales – brag to your friends about how you ended up in Jail in Ireland. Not quite as famous as Alcatraz or Rikers Island, but significant in the history of Ireland, Kilmainham was the infamous setting for the executions of the Easter 1916 rising rebels. 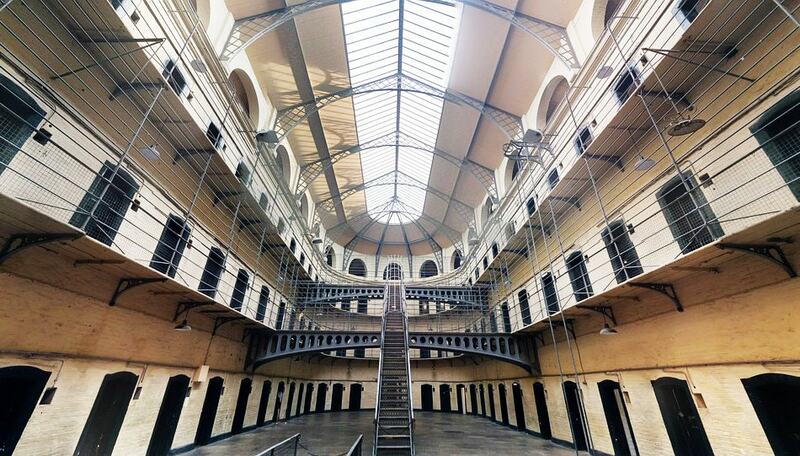 Thoughts of touring jail cells might not seem like the perfect way to spend an afternoon, but let me assure you, Kilmainham Jail is a must see. It’s been the backdrop of many movies, including In The Name Of The Father (one of Daniel Day Lewis’s best) and the Italian Job (the original and best version). Once you visit this historic building, you’ll understand why it's on the list. An atmospheric and beautiful place, in many ways. The official tour includes a narrative of the history of the jail and the people that passed through it. Melancholy, fascinating, shocking, and exciting at the same time. The Little Museum of Dublin is a popular tourist attraction, but another Georgian house on Henrietta Street, in the north of the city, is a lot more interesting. 14 Henrietta Street is almost 300 years old and was originally the home of Dublin-based aristocrats before turning into a tenement house packed with industrial workers. One house in those times often had 100 people living under the same roof. Picture that as you walk around the house. It’s big, but it’s not that big. This is a look at the way people lived in the city during the last several hundred years. Built in an original tenement housing building, the museum offers a firsthand look at how people lived in the days of industrial revolution-era Ireland. Guides recount stories of the original tenants and explain how people lived in these cramped conditions. It’s a real eye opener. Thankfully, the knowledgeable tour guides add a little humour to what might be a sombre experience. Tours of 75 minutes must be pre-booked and are the only way to see the house. This is one of the most atmospheric buildings in the city and is a story of the wealthy and poor people of Dublin through good times and bad. Grafton street is the main shopping area of the city centre. Not really the kind of place I like to hang out. Shopping is definitely down the bottom of my list of favourite things to do. But this street is ground central for buskers. On a nice day (or even a cold, and damp one) you’ll find buskers all along the street. Musicians, artists, mimes, and well, anything else that might make the busker some money (legally). U2 (or at least Bono and the Edge) perform here on Christmas Eve every year in a small casual concert that has grown to be a highly anticipated event. Glen Hansard, ex-lead singer of the Frames and academy award winner, started here as a busker many years ago. Damien Rice was also a regular here before becoming a world famous musician. Ladies, looking to meet new friends in the city with no extra strings attached? Girl Crew (a Dublin startup ) aims to create a network of women looking for new friends in town for social activities. If you find yourself in Dublin with nothing to do and no plans, Girl Crew can sort you out. Everything from concerts to stand up paddling (yep that’s a thing, even in Ireland) and coffee crawls are arranged via the app. You never know which interesting parts of Dublin you might see and there’s nothing better than discovering a city with a local tour guide. And this one is free. #12. Visit The Phoenix Park. The guidebooks no doubt mention that this park, right in the middle of Dublin, has a wall around it. And it’s huge. In fact, it’s the biggest of its kind in Europe. 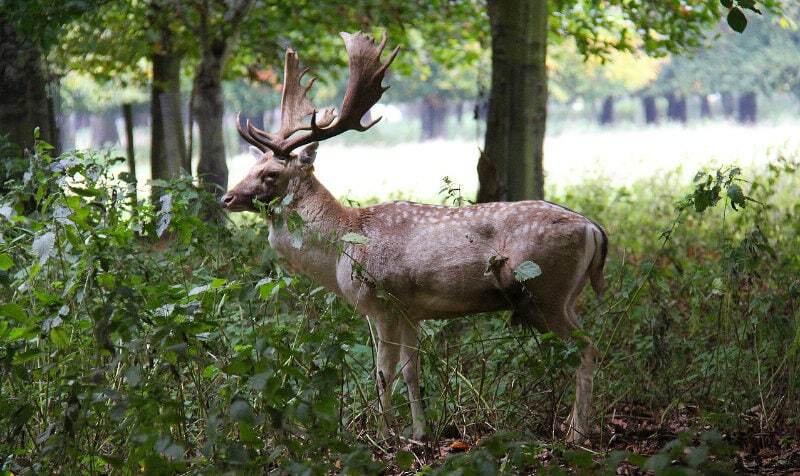 It’s also the home of charming deer – The park was a was a place for the ruling British Royals to hunt back in the day. There aren’t too many things to spend your money on here and it’s just a park after all (nothing for the Instagram bucket list) but it just happens to be a big beautiful swathe of peaceful green-ness in the middle of a capital city. The fastest game in the world. Or as the actor, Jason Statham called it in the movie Blitz, “a cross between hockey and murder”. 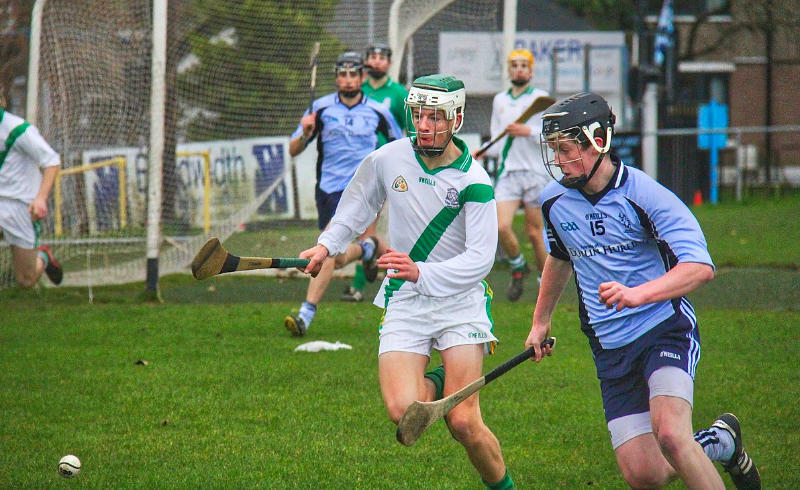 Hurling is a spectacle even for non-sports fans. Check out a Hurlking game and wonder how the players survive more than a few minutes. Some wear helmets. Some appear to have a death wish. It’s dangerous and fast. Worth a trip to the home of Gaelic sports in Ireland, Croke Park, on the north side of the city. For whiskey fans, Ireland is a sort of Disneyland. Especially if you like triple-distilled, smooth whiskeys. Two whiskey tours worth visiting are at the Jameson Distillery and the Teeling Distillery. Both companies produce some of the best tastiest the world. The tours are professional and not over-hyped. There’s little sense of you getting fleeced for your tourist dollars and more of a sense of pride in the businesses. Yeah it’s gimmicky but eating your dinner on a bus in the beer garden of a South Dublin Bar is actually quite a good experience. It’s imaginatively called the Big Blue Bus, and it’s big and blue. And it’s a bus, but it’s also a restaurant. The main (only) dish is pizza, so you’d better like that. The range of pizza is impressive though. You can find the bus in the beer garden of The Bernard Shaw near St Patrick’s Cathedral and Marsh’s Library. So once you’ve ticked off the cultural must-dos for the day, head around for some food and a beer in one of the most unusual eateries in town. Check out Eatyard Portobello, a permanent street food market run by Eatyard right next door to the pub. You might find this place on the top 10 list of every other blog and guidebook to Dublin. But I have to admit, it’s a good one. I bring friends here when we’re all in town at the same time. Even if you’re not a pub-goer or you shun alcohol, the Church Bar is worth a visit, if only for the novelty of visiting a den of debauchery in an ex-church. Okay, it’s not that wild of a place, but it is fun to know that once upon a time in this building, the only person sipping “wine” was a priest. Here’s something new: leave your iPhone at home. Lose the guidebook. Take those headphones out and walk out of your hotel or apartment. Now, keep walking in random directions. Go wherever looks like it might lead somewhere interesting. Want to get off the tourist trail? Then get off the tourist trail. By walking off that trail. It’s amazing what happens when you get lost without worrying about finding your way back. The great thing is that Dublin is safe enough. There are a few characters walking around (many of which look like they wandered off the set of The Walking Dead) but they are generally harmless. Just give them a wide berth and you’ll be fine. Most Dubliners will help visitors without a second thought. Asking for directions in Dublin, especially if you wander into a pub to do so, could be one of the best ways to discover the city. Dubliners like to talk so you’ll be fueling the fire by asking for their opinions on the best place to x or the nearest y. 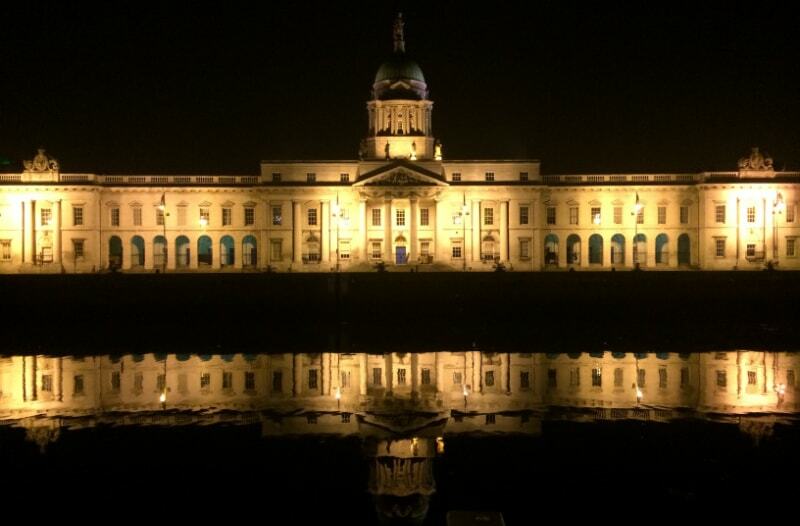 If find yourself in Dublin April, and you’re fit, the Dublin Night Run is a worthy event. If you like the sound of starting a race at 9pm with crowds of people in the middle of the city, then sign up for this 10k bucket-list event. 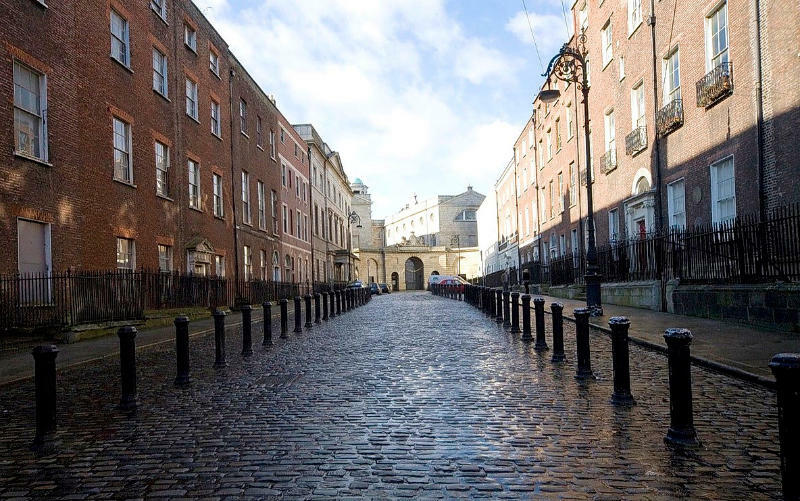 The route takes you down some of Dublin’s most interesting and historically important streets. Attempting to run down these streets while taking in the scenery in the daytime (our indeed any other time of year) will get you arrested. So here’s your opportunity to see the city in a unique way, legally. #19. 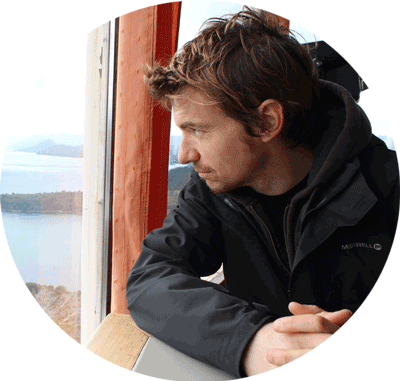 Ignore my Advice – Do The Most Touristic Attraction in Europe. Even if you don’t have the fainted interest in Guinness, or beer, The Guinness Storehouse is worth a trip, if only for the historical aspect of the place and the sheer scale of the museum. The Guinness brand is part of the fabric of old and new Dublin. And the storehouse happens to be Ireland’s most popular tourist attraction. It’s also been named Europe’s best attraction, beating the Colosseum in Rome and The Eiffel Tower to name a few. Instead of just sampling the restaurants of Dublin, why not take part in a food tour? Make new friends while savouring delicious food in a local’s home. That’s the concept of EatWith and one that will introduce to you the culture and people of Ireland better than sitting on a tour bus, for example. A cultural experience and quality meal with a small price tag. Some of the best baristas in Europe call Dublin home. And if you like coffee (I know you do), why not learn from the best with a coffee workshop! Take a class on the craft of the barista! Dubliners have taken to coffee like butter on toast. There are coffee shops in every corner of this city and the quality is good. Hipsters have helped move the coffee culture to the next level, and Dublin’s baristas have made the finals of the World Barista Championships a few times. Check out this Top Ten Dublin Cafes post for my favourite coffee shops in the city. As long as you avoid rush hour, Dublin City is an easy place to get out of. 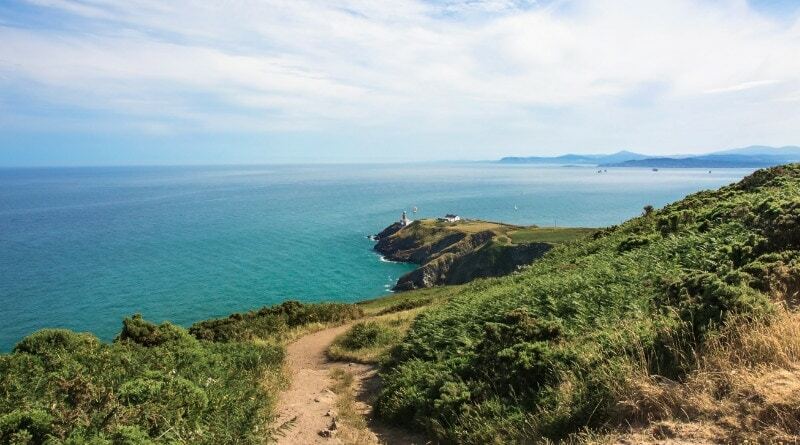 Take a day trip out to these destinations to experience another side of Dublin. Walk around one of the nicest parts of the country and check out the posh houses. The circumnavigation of the peninsula here is a worthy walk. Standing on the edge of the walkway you feel almost surrounded by the way. On a sunny day, this feels more Mediterranean than mid-Atlantic. But walking around the Head is for tourists. Why not run it? Yep, you can join other fit and slightly unhinged people that like to run over rocks beside cliffs. 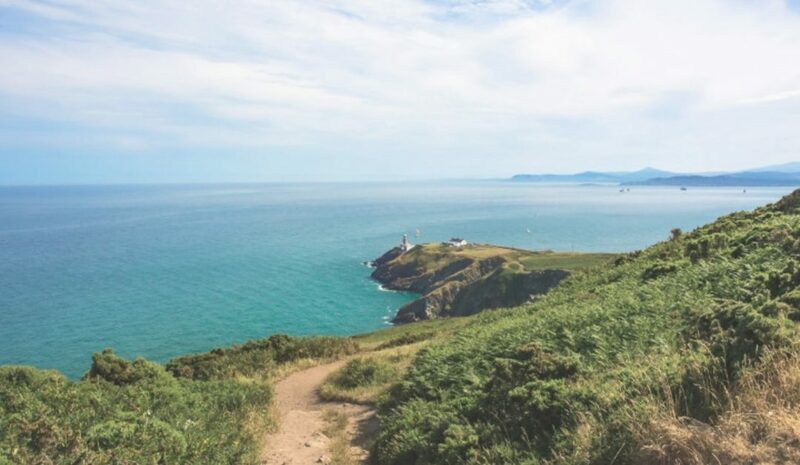 Howth is also one of the best spots in the country to get some seafood. Glendalough is a gorgeous part of Ireland that feels a million miles from the bustle of the city. This glacial valley of lakes and trees is just an hour away and easily reachable by car. Going by bus? Check out the timetable here. Thanks Keith for sharing such an informative blog. This will definitely help travelers. I really appreciate your effort.